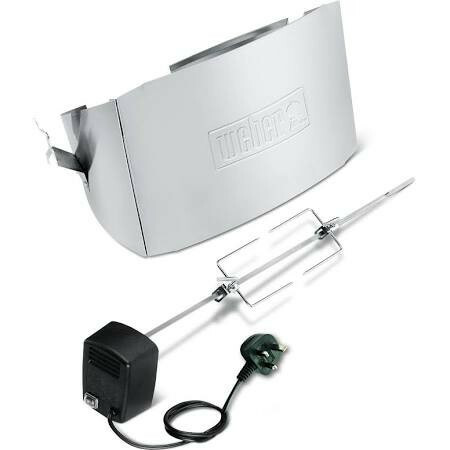 The front shield sits on your barbecue grate to lift the barbecue lid to a height for easy spit roasting. The front shield sits on your barbecue grate to lift the barbecue lid to a height for easy spit roasting. Place your joint of meat on the spit and as it rotates it will self-baste, keeping the meat tender and juicy. Once finished the shield folds down for easy storage.